For six years we have been collaborating with a dear friend about all things Zentangle. He recently agreed to publicly join our Zentangle family. We are thrilled and proud to introduce to you . . .
With so much to say, this newsletter is a bit longer than usual. Thanks for your precious time you take to read it. We think you'll enjoy it. In 2006, we took a trip to Paris. We had a wonderful time wandering its streets, museums, and city scenes. Our Zentangle discovery was in its infant stage and our heads and hearts flooded with ideas and dreams of what was to come on this exciting new path. Everywhere we looked we saw patterns to be deconstructed . . . patterns inspired by the art, architecture, and nature that surrounded us in this magical, beautiful city. Back at our hotel, Maria spotted a small snail crawling up the zipper of her suitcase. Startled by its beauty, she smiled and called to me to share her discovery. It was time for dinner so we decided to leave it undisturbed so it could find its way back home. However, this was no ordinary snail! When we unpacked after returning home, we discovered this snail had hitched a ride in our luggage! It looked perfectly comfortable and at home in Massachusetts. We decided to place him (or was it her?) gently among the ferns in our front yard. Before placing her (or was it him?) down among the ferns we named this adventurous and beautiful snail "Bijou" which means "jewel" in French. A couple days later when I went out to pick up the morning paper, I noticed a glistening tangle on our front porch. At the end of this tangled trail was our new friend, Bijou! "Maria, come see!" Together, we watched Bijou knowingly look up at us and then move slowly and steadily off into the ferns. Was that really a smile that played across Bijou's glance? Over the years since that magical morning, Bijou's front porch tangles have turned into conversations. We now enjoy a wonderful collaboration that has resulted in new web pages and fun "stuff." We are excited and thrilled that Bijou has decided finally to come of out his/her* shell (so to speak) after becoming more comfortable communicating in this particular human language. Bijou's passion for Zentangle is obvious. Bijou's insights, that only a snail could have, are relevant and inspiring to us humans. We are thrilled to share them with you. 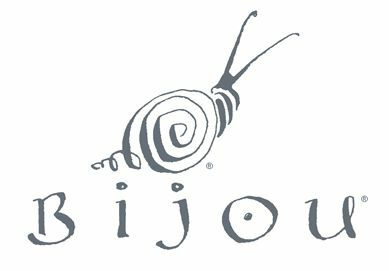 We are pleased to introduce you to Bijou, our friend and artist, here to guide us and remind us of the many profound characteristics of the Zentangle Method as only Bijou can. After all, "Anything is possible, one (slow and deliberate) stroke at a time!™"
* We have come to understand from Bijou that each snail is both male and female. Given the use of the English language, Bijou is comfortable using the single reference of "he" instead of the more complicated "he/she". Bijou even has his own section on our website at zentangle.com/bijou. After you finish this newsletter, please take a moment to get to know more about Bijou on his web pages. 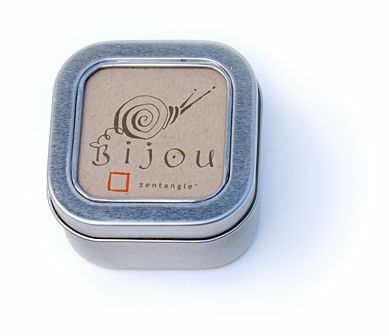 Bijou's perspective is an elegant match for our Zentangle approach to creating art and to life. Bijou gives simple explanations and clear insights that appeal to a wide range of audiences. We are all excited to have him help us communicate the Zentangle message. Bijou is the embodiment of "one stroke at a time." 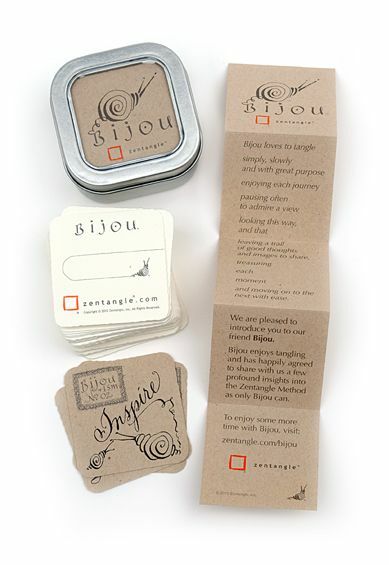 Bijou has helped us create small collectible cards that are inspired by his philosophy which mirrors our own. We include a few of these cards in our Bijou products. Right now there are 24 . . . we expect Bijou to inspire more. 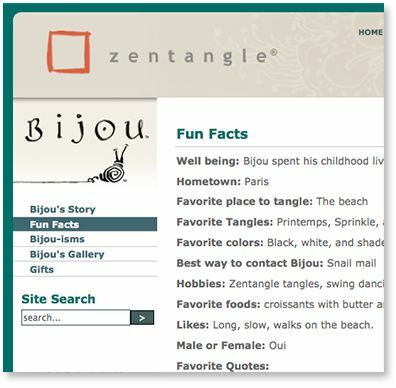 Bijou has his own email address, bijou@zentangle.com. This email actually goes to Bijou's PR person, who filters messages and forwards the important ones to Bijou. Right now Bijou is focusing on taking questions that he can answer on our blog. He is excited to begin a new series on our blog called "Ask Bijou." This will bring a much needed regularity to our blog. This is one of the reasons we are so excited that Bijou has agreed to come out of his shell in public. Use the above email to arrange an interview with Bijou. We ask you to submit questions in advance. This will save you time since the translation process is usually slow. When you call for the interview, we'll have prepared the translation. You can always ask new questions, but you'll just have to be a bit patient with the translation lag. Bijou can read, but he prefers to listen to us read to him out loud. As you saw in the video above, Bijou likes smaller tiles. 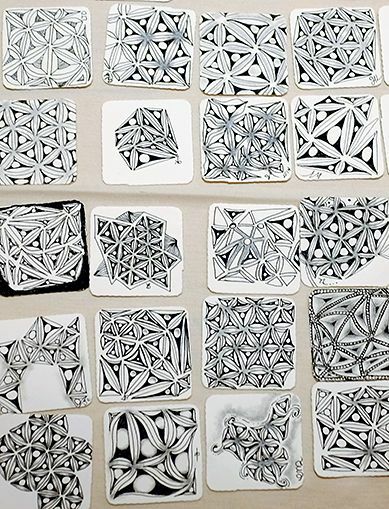 He designed tiles which are 2 x 2 inches square (51 x 51 mm). 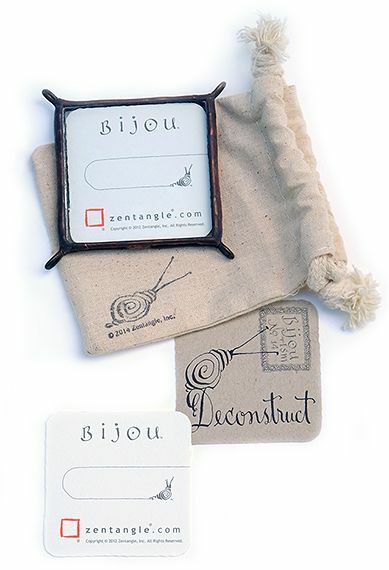 Bijou's idea was, not only would these tiles be easier for him to tangle, but they would also fit in all the standard presentation pages and boxes that were used when photo slides were popular and are still used by coin collectors. Each tinful contains approximately 55 tiles. We say "approximately" because Bijou insisted on helping with production. It's easier for him to measure how high a stack is instead of counting each tile one by one. There are probably more than 55 because Bijou is quite generous. Also included in each tinful are three random Bijouisms (we're never sure which ones Bijou includes) and a light-hearted and heart-warming introduction to Bijou. Since Bijou Frames are so small, they can also be worn as jewelry. 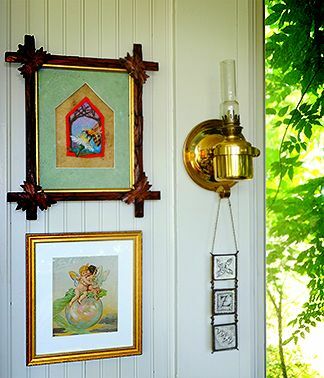 "Raid your jewelry boxes for chains, ribbons or cords to hang your Bijou frames. They can also hang in a diamond shape. Add your charms, old rings, beads and bobbles to dress them up!" Please note that these small frames use a solder that includes lead to hold the glass and wire together. Everything is then plated with copper and burnished to look bronzed. Because there is some lead content, we include a notice with California's Proposition 65's required wording, "WARNING: This product contains chemicals known to the State of California to cause cancer and birth defects or other reproductive harm." Our dear friend and long time employee, Nancy Sampson, died last year of ALS (amyotrophic lateral sclerosis), also known as "Lou Gehrig's disease." Many of you have spoken with her and all our early CZTs have met her at teacher trainings. Nancy is also the originator of the tangle, sampson. This blog post can be a valuable gift for any family caring for someone with ALS. It offers a simple and inexpensive tool for most all ALS patients to communicate, even in the later stages. Please take a moment to read it, comment if you wish and, in Nancy's memory, share it with all who can benefit. This event is now probably sold out . . . last week we were told there was only one space remaining. We are planning to schedule another similar event there early next year and we understand that Kripalu is maintaining a wait list for that event. You can contact them through this page on Kripalu's website. We look forward to a wonderful weekend together! 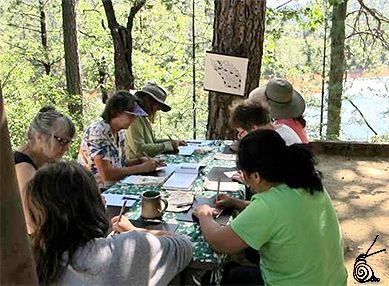 I'm so glad that Zentangle "world headquarters" is so busy, it just means that you are all doing a wonderful job spreading creativity around the world. I'm grateful to do my small part in spreading the wonderful benefits of Zentangle. I leave in two days for a 2 month road trip and will be doing many weeks of camping where I will offer lessons at my campsite. It should be lots of fun. I've attached a photo of a camping trip I took last year where I invited folks to my campsite...I had to turn people away. Those who got to stay loved it! Thank you again for joining with everyone in welcoming Bijou. He made a great impression at our recent seminars when we introduced him to our CZTs! 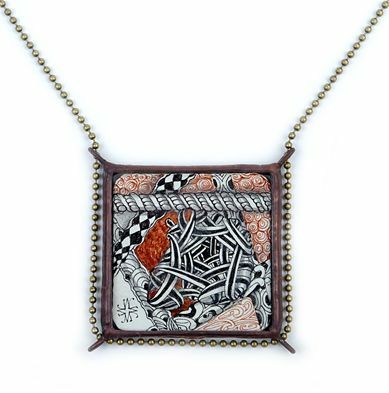 We believe that you will enjoy getting to know him as much as we all have over the years here at Zentangle HQ. He LOVES to get email . . . even though he really prefers snail mail . . . he enjoys listening to us read all the emails aloud to him. Bijou is very excited to get to know you all!